greetingStory™ makes it simple and fun to capture family stories one greeting card at a time. 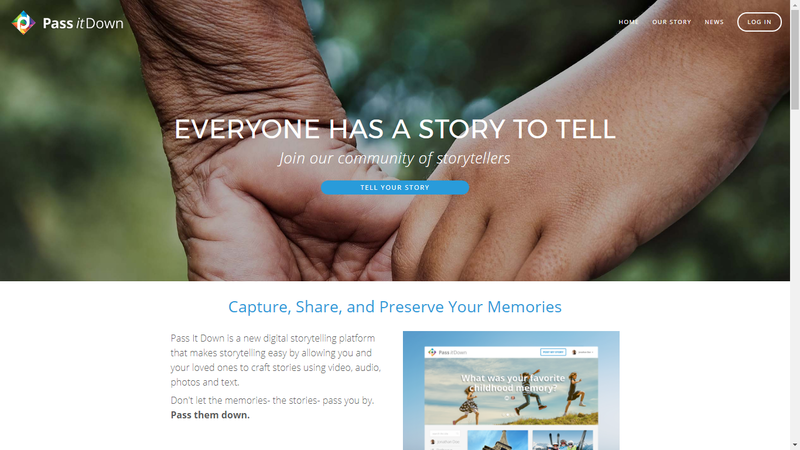 Chattanooga, Tenn. (July 18th, 2017) – Pass It Down, an award-winning storytelling platform that makes it easy to digitally record and preserve family memories, announced today the launch of its first physical product, greetingStory™. greetingStory™ reinvents the greeting card, making it easy to capture family memories and handwriting, reconnect with loved ones and preserve family stories. About Pass It Down, LLC. Since 2015, Pass It Down has been dedicated to helping families around the world capture and preserve their memories and stories. Through its pioneering digital storytelling platform, Pass It Down is leading innovation in the storytelling and genealogy industries and has won numerous awards and recognition from organizations including: the International Storytelling Center, the National Storytelling Festival, the Aging 2.0 Global Startup Search, BYU, the Miller Lite Tap The Future contest, and many more.